+10 Bonus Ability Damage +10 Physical Power +20 Magical Power +2 MP5 Per 10% Missing Mana ROLE QUEST: MID Kill or Assist Lane Minions or Enemy gods to gain stacks. Lane Minions are worth 1 Stack and Enemy gods are worth 5 Stacks. At 75 Stacks Mage's Blessing Evolves, gaining 10% Cooldown Reduction. 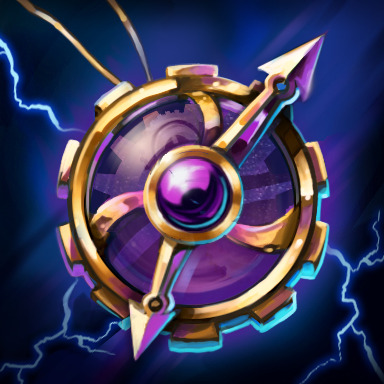 PASSIVE - You permanently gain 10 Mana per Stack, and receive 5 Stacks for a god kill and 1 Stack for a minion kill (max. 75 Stacks). 6% of your Mana from items is converted to Magical Power. At 75 stacks this item Evolves, gaining 3% extra Mana to Power conversion. PASSIVE - Your damaging abilities reduce your target's Magical Protection by 10 for 5s (max. 5 Stacks). PASSIVE - Every 10s the Pendant activates, subtracting 1s from all of your abilities currently on Cooldown. The initial countdown will not start until you leave the fountain. PASSIVE - Your abilities deal an additional 2% of the target's maximum Health as Magical Damage. If the target has over 2000 Health, your ability bonus damage scales up. This effect reaches a maximum of 7% Maximum Health damage at 2750 Health. PASSIVE - Enemies hit by your damaging abilities will move 25% Slower for 2 seconds.